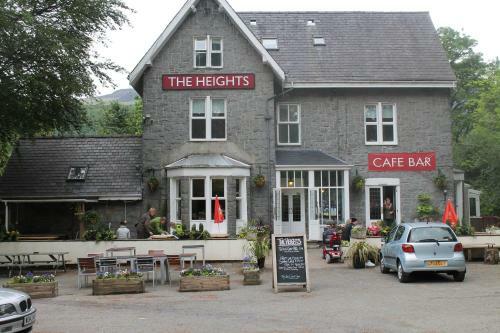 Llanberis Lodges, Llanberis, Gwynedd hotels with instant confirmed online booking. We have Hotels throughout Gwynedd , Wales . Accommodation near all the attractions, places to see and things to do.......You are able to make an instant secure confirmed online booking. We also offer information on Airports, and travel and tourist information. Llanberis Lodges is located in Llanberis, at the foot of Mount Snowdon in the heart of the Snowdonia Mountain Range. Free private parking is available on site. The rooms have a flat-screen TV. Some rooms include a seating area for your convenience. Enjoy a cup of tea while looking out at the mountain or lake. For your comfort, you will find free toiletries and a hairdryer. Llanberis Lodges features free WiFi throughout the property. Dolbadarn Castle is 400 metres from Llanberis Lodges, while Dolwyddelan Castle is 12 km away. The nearest airport is Liverpool John Lennon Airport, 88 km from the property. This property accepts credit/debit cards to secure bookings only, payments on check-out can be made by cash or cheque.